Close to 40% of Americans are planning to work well into their 70s, according to aWillis Towers Watsonsurvey. If this doesn't sound like fun to you, you may have plans to retire early. In fact, you may want to leave the workforce well before you hit your early or mid-60s, which is when most people retire. Retiring early gives you the freedom and flexibility to enjoy your life while you're still relatively young and hopefully healthy. But, you need a lot of money to do it, which means it will take some work. If you're serious about retiring early, here are four steps you need to take. If you plan to retire early, you need a big nest egg to support you for the rest of your life. It's imperative you know how big that nest egg must be so you can make a plan to save enough by your desired retirement date. There are lots of different ways to decide how much money you'll need to retire. You could actually sit down, figure out what your expenses will be in retirement, and see how much income you need to produce that amount of money. If you're planning to retire before you claim Social Security, you'll need to be sure that your savings alone can produce the desired amount. If you'll need $50,000, your savings would need to produce $50,000 in income. Most financial experts advise that you can withdraw 4% of your retirement account balance in the first year of retirement and then adjust the amount upwards to account for inflation each year. By sticking to the 4% rule, you shouldn't run out of money. So, if you divide your desired amount of income -- $50,000 in this case -- by 4%, you can see how much money you'll need to have saved. This would mean you'd need a nest egg of $1.25 million before you retired. If you don't know how much money you'll need your savings to provide, you could just use a commonly-accepted formula, such as planning to save 10 times your final salary. If you were earning $50,000 just prior to retirement, you'd need around $500,000 in savings. 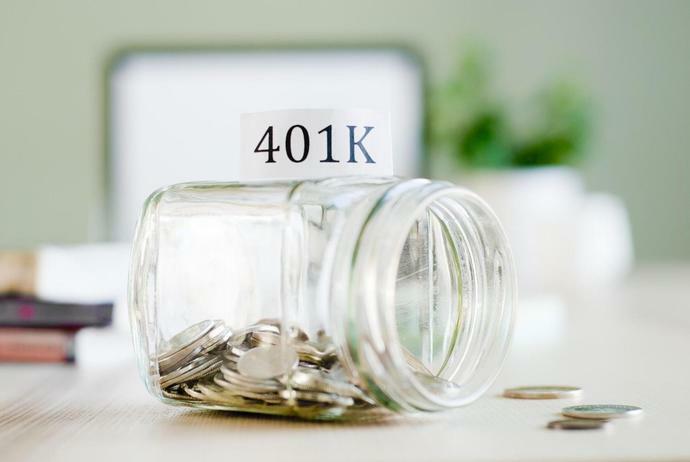 But, this rule is aimed at people retiring at a typical age, so if you'll need your savings to support you for longer because you retire early, you may want to err on the side of caution and estimate a little extra. Whatever approach you take, you're very unlikely to retire early if you don't have a clear savings goal when you're still young. Once you know how much you'll need to save for retirement, you can figure out how much money you need to set aside each month in order to hit that goal by your desired retirement age. Say your goal is to retire at age 45 with $1 million in the bank and you start saving when you're 25. You can use a retirement calculator to determine that you'd need to save around $24,500 annually for 20 years in order to hit that $1 million goal, assuming a 7% rate of return. This is about $2,042 per month. You'll probably need to live on a budget in order to save the desired amount to retire early. But, the key is to make the process automatic so you're essentially forced to live on your budget and don't have to make the responsible choice every month. Once you're saving money for retirement, you'll need to invest it. Since your goal is to retire early, you'll likely want to invest aggressively to grow your nest egg ASAP. It's important you choose a portfolio that allows you to earn a reasonable rate of return. If you earn a 7% return and save from age 25 to 45, chances are good you'll hit your $1 million goal. But, if you earn just a 3% return because you've invested too conservatively, you'd need to save significantly more -- around $3,050 monthly -- in order to save that $1 million. Higher risk investments typically have a higher rate of return, but you also take a chance of losing money. You'll need to learn a little bit about investing -- such as how to pick good stocks or how to choose mutual funds or exchange-traded funds -- so you can build a diversified portfolio of stocks that are likely to perform well for you. Finally, if you're planning on leaving the workforce before you qualify for Medicare at age 65, you need to know how you'll pay for health insurance. You also need to plan for healthcare costs as you age, as Fidelity estimates a senior couple would need as much as $280,000 to cover their care -- even with Medicare. Ideally, you'll be able to invest in a health savings account (HSA), as you can contribute to an HSA with pre-tax funds, invest the money so it grows, and withdraw money tax-free as long as you're using the cash to pay for care. But, you're eligible to invest in an HSA only if you have a qualifying high-deductible health plan. If you can't invest in an HSA, factor in a substantial amount of money to cover care when setting your savings goals -- especially if you'll need to pay premiums for insurance for years between the time you retire and the time you're Medicare eligible. Retiring early is a worthy goal, and it's worth the effort. While taking these steps may seem daunting, if you get started today, you'll be well on your way to leaving the workforce early.